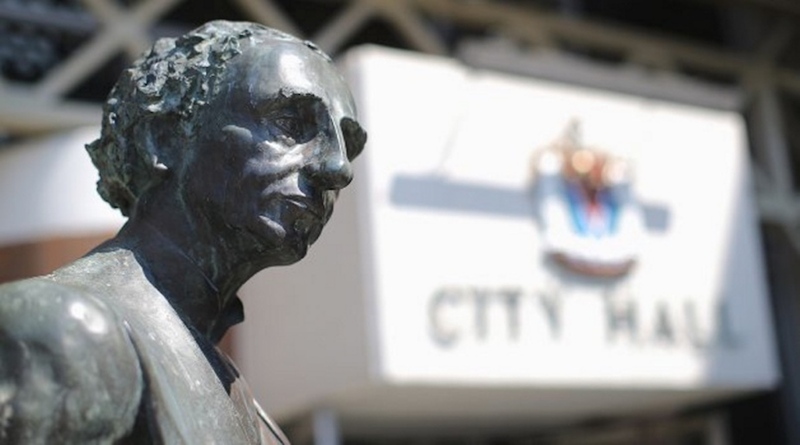 THIS ISN’T THE FIRST TIME Victoria council has debated moving the Sir John A. statue that stands outside City Hall. It did so 18 years ago, too, except that time, the argument was over whether the location was prominent enough for such an awesome dude. It was the Sir John A. Macdonald Historical Society, the group that erected the statue in 1982, that precipitated that tug-of-war in 2000. It wanted to shift the figure to a spot beside the Empress Hotel, where more people would see it. Macdonald served as Victoria MP from 1878 to 1882, though he didn’t actually set foot here during that time. His nomination — the meeting included fistfights and police intervention — was due in part to his support for building a railway to B.C. Among those pushing his candidacy was the odious Joseph Trutch, whose racism led council to reconsider the name of Fairfield’s Trutch Street this year. That debate is part of a nationwide second look at those whose names live on in street signs, statues and public edifices. Last year, the Elementary Teachers’ Federation of Ontario urged school boards to remove Macdonald’s name from public schools. Justin Trudeau stripped the name of Hector-Louis Langevin, who was both a Father of Confederation and a key architect of the residential school system, from a building across from Parliament Hill. A decade ago, the name of Howard Green, a cabinet minister synonymous with the expulsion of Japanese-Canadians in the Second World War, was dropped from a Vancouver office building despite his family’s vigorous denial of racism charges. Sometimes, the revisionism feels like ideological ping pong: B.C. New Democrats restored the Ginger Goodwin Way signs to a stretch of Comox Valley highway this summer, reversing the decision of the Liberals, who don’t venerate the labour martyr in the same way. Right-wingers delight in pointing out that as a young man, left-wing icon Tommy Douglas, who was deemed the Greatest Canadian by CBC viewers in 2004 (and who, like Macdonald, parachuted onto Vancouver Island as an MP), was an enthusiastic proponent of eugenics, just like the Nazis. Ditto for Nellie McClung, pioneering suffragette and, in the 1940s, a columnist for this newspaper (yes, I know what it’s called). Some say it was that taint (eugenics, not column-writing) that knocked McClung out of the running in 2016 when Ottawa decided which Canadian woman to feature on a banknote. Viola Desmond, who challenged racial segregation in Nova Scotia, was chosen. Desmond will grace the new $10 bill when it is released this year, replacing — ta da! — Macdonald, who will eventually pop up again on either the $50 or $100 note, probably a few years from now when the current tens have gone out of circulation. At least, that’s the current plan. We’ll have to see how he’s viewed by then. Maybe McClung’s name will be torn from the Saanich library, too. All this, of course, drives people right off their nuts. Victoria council, which has a peculiar ability to drive wedges between its residents in the name of community-building (hello, bike lanes! hiya Topaz Park! ), sent knees jerking into chins with its Macdonald move this week. Reaction often comes down to what the statue represents to you: the free, peaceful, stable Canada that welcomed your grandparents and allowed them to prosper, or the one that sent them to residential school and shoehorned them onto a reserve, or the one that sold their fishboat and shipped them to Alberta for the duration of the war, or the one that charged a head tax and wouldn’t let them swim in the Crystal Pool. I will give thanks for that first version every day of my life. That doesn’t mean the other perspectives aren’t equally accurate, though. And because they are, and are hurtful to other Canadians, it won’t bother me at all if the pigeons no longer have somewhere to perch on Pandora. 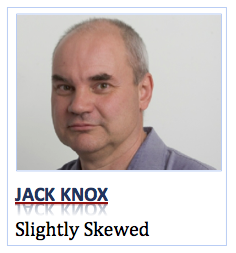 Jack Knox is a born-and-raised Kamloopsian who once worked at the Kamloops Daily News. He is now a columnist with the Victoria Times Colonist. Since joining the Times Colonist in 1988, Jack has worked as a copy editor, city editor, editorial writer and editorial page editor. Prior to that he was an editor and reporter at newspapers in Campbell River, Regina and Kamloops. He won the Jack Webster Foundation’s City Mike Award for Commentator of the Year in 2015. Never let the truth get in the way of politically correctness, social engineering, freedom of speech. Just keep swallowing the feminist liberal cool-aid and soon it will not matter because anarchy and an autocratic Canada will appear. this is wrong,u can’t change the past by hiding it ,It is canadas past,some parts wrong,but did happen,be truthful,to much hiding &lying now ! !